What might be possible if a community of organization members were fully engaged and using their strengths to collectively achieve shared visions? Appreciative Coaching is a revelatory and generative conversation that enlivens, amplifies, and sustains the positive core – source of the energy and intelligence of life – of both client and coach. This relationship cultivates new possibilities, health and fulfillment, accelerating us to our highest and deepest good. WHAT IS APPRECIATIVE INQUIRY COACHING TRAINING© (AICT)? This 5-day course will comprise a full Appreciative Inquiry into our collective experience of Appreciative Inquiry and Coaching. Together we will explore and experience each of the 5 D’s as it relates to one-on-one relationships for generative conversation. The practicum, which participants will submit for certification, will embody “Destiny” as you apply the lessons taught during this course. The Appreciative Inquiry Coaching Training is not a problem-solving coaching approach, rather it looks at discovering and co-constructing the client’s positive core – what it is that connects them to life, energy, and possibility and allows them to thrive. Through the affirmative framework of AI, discover how to deepen and enhance both your personal sense of yourself as well as your skills for generative one-on-one conversations. must be completed within one year of the AICT attended. 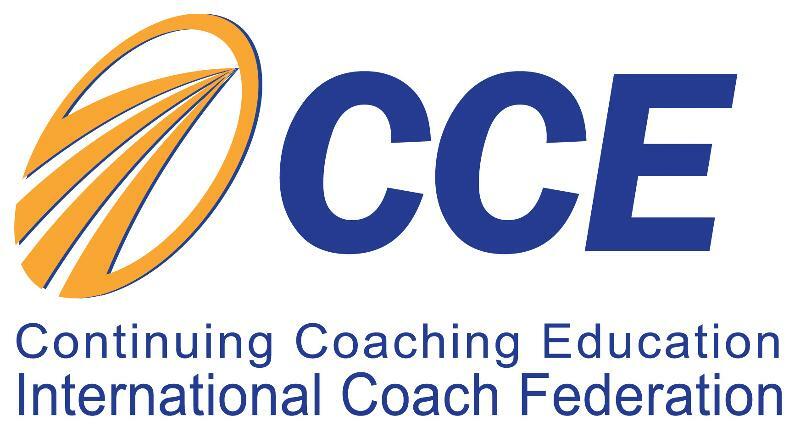 The Appreciative Inquiry Coaching Training is approved by the International Coach Federation (ICF) for Continuing Coaching Education (CCE). CCEs give coaches an opportunity to continue their professional development. Coaches will learn how to use the AI process, originally designed for use with an organization, system or group, as a process for coaching someone one-on-one. Seasoned coaches who seek to strengthen their life-enriching ways of coaching. Participated in an Appreciative Inquiry Foundations course (with a minimum of 26 classroom hours) and have submitted documentation of your experience while on your AI journey to a panel of AI practitioners from the Center for Appreciative Inquiry to review. Learn more about AICT Application Process here. This Appreciative Inquiry coaching course is highly experiential – each participant pairs up with a coachee and a coach to practice and experience the skills demonstrated by the trainers. Each practice session ends with time for reflection and discussion. Your trainers will provide theoretical input (supported by audio-visual material) to enhance your experience. Inquire into the essence of ‘Appreciative Coaching’ by learning from our own collective best experiences of when Appreciative Inquiry, and coaching, is at its best. DEFINING the Positive Topic: Devote ourselves to Defining the Topic as well as establishing a coaching agreement (or multi-level ‘contract’) with the client. We will also touch on coaching topics such as active listening and re-framing. DISCOVERY into the Topic: Learn to facilitate an evolving discovery of the client’s Positive Core and its implications for the future while maintaining the client’s focus on the ‘ideal future’. DESIGNING a Provocative Proposition: Convert the client’s vision into a roadmap by constructing powerful provocative propositions that are bold, affirmative, and provoke action. DESTINY: Explore living into the preferred future through on-going discovery, dream and design. To become certified by the Center for Appreciative Inquiry as an Appreciative Coach, you will participate in an Appreciative Inquiry Coaching Training © (AICT) and then complete a Supervised Practicum and Narrative Summary. The Supervised Practicum and Narrative Summary must be completed within one year of the AICT you attend. Your AICT Trainer(s) will be available by email and/or phone for free consultations throughout your Practicum. **If you have special dietary needs, please email Melissa Robaina. WHAT MAKES OUR TRAININGS UNIQUE? We are relationship-focused. We believe the success of any human endeavor is dependent upon the relationships between those involved. We value each person and strive to develop a rapport, trust, and understanding with all of our clients by investing time and energy into understanding each client, their business, and their aspirations. Trainings are small and intimate. The size of each of our training varies based on the location of the event, but rarely exceeds 24 participants. Our intimate training sessions allow for extensive interaction between our trainer(s) and participants – allowing each participant to receive assistance with individual needs. Intensive and experiential. “We remember best what we experience. We understand best what we identify with. We learn best by doing.” We are aware of the importance of personal experience in the retention of learning. This is the underlying principle used in all of our workshops. Support. Our intimate training sessions create the perfect environment for networking, motivation, and support with other workshop participants. We encourage participants to continue to share their challenges and experiences with one another even after our trainings have concluded. Support from others can provide the strength needed to continue on the path of positive, sustainable change. Infused with Appreciative Inquiry. Appreciative Inquiry (AI) is a collaborative, strengths-based approach to both personal and organizational development that is proving to be highly effective in thousands of organizations and communities around the world. It is a way of bringing about change that shares leadership and learning, fully engaging everyone in the process. AI empowers our participants to create the processes they wish to use in order to put belief into practice and acquire their goals. Mentoring included. To ensure the successful implementation of the skill sets taught during our trainings, your trainer is available as a mentor to you during your practicum for up to one year at no extra cost. They will also be part of the panel that reviews your practicum once it has been submitted. It is standard practice for the panel to engage you in a conversation about your work once it has been submitted. Typically, they will respond with questions to deepen their and your mutual understanding of and learning about AI. The practicum review is therefore a dialogical and interactive process. Certification. Many of our workshops include certification – at no additional cost to you. Certification demonstrates to your customers, competitors, suppliers, staff and investors that you use industry-respected best practices. Cost Effective. Evolving positively in today’s changing environment requires that we constantly improve and build upon our skill sets. By providing our workshops at a low cost, we hope to attract more individuals, groups, and organizations that are expected “to do more with less”. We now offer group rates that provide additional savings on top of our already reduced workshop prices. Expertise. Each of our trainers has a strong commitment to the theory and practice of their subject area — bringing a balance of education, consulting, and on-the-job experience to all of our trainings. At the end of the five-day training and completion of a supervised practicum, participants will be eligible to receive a certificate as an Appreciative Inquiry Coach. Credentialed coaches will receive a letter to document their completion of an approved CCE Program. San Diego International Airport (SAN). Please note that travel, accommodations and hotel/airport transportation are not included in your registration fee. We advise that you do not make any nonrefundable travel arrangements until the training is confirmed. All fees are due upon registration. Your full participation is very important to us and we know that from time to time, your plans to attend one of our workshops or programs may change. Our refund policy reflects our interest in your continued growth and learning journey as well as our planning needs and expenses incurred based on your enrollment. For more information about our Refund Policy, please click here. PLEASE READ THE FOLLOWING TERMS AND CONDITIONS OF USE CAREFULLY BEFORE USING THIS WEBSITE. All users of this site agree that access to and use of this site are subject to the following terms and conditions and other applicable law. If you do not agree to these terms and conditions, please do not use this site. To read the complete list of Company of Experts’ terms and conditions, please click here. Register by September 8, 2017 to receive the Early Bird Special Sale Price of $2,000.00 USD. After September 8, 2017, event fee will increase to $2,500.00 USD. Registration includes: pre-workshop reading, five full days of instruction, lunch, instructional materials and Appreciative Inquiry Coaching Certification mentoring and support for one year. To support the learning of this highly experiential workshop, registration is limited to 18 participants. Please note: Your trainer is available as mentor to you during your practicum – at no extra cost. They will also be part of the panel that reviews your practicum once it has been submitted. It is standard practice for the panel to engage you in a conversation about your work once you have submitted your practicum. Typically, they will respond with questions, to deepen their and your mutual understanding of and learning about AI. The practicum review is therefore a dialogical and interactive process. Email: To register by fax, click here to download our registration form, fill it out, and email it to Melissa. You will receive a confirmation email within 2 business days to confirm your registration. Phone: We also process registrations taken over the phone. Just call our office (702) 228.4699 and we will be happy to process your order over the phone. "I appreciate the willingness of our trainers to share their skills by demonstrating key concepts authentically, with topics that were real to them. I felt welcomes to express my questions & support or my journey." "I appreciate the openness, the coaching demonstrations - the presences and calmness allowing each to learn at their own level - pausing so you had time to reflect and absorb the 'how to'." "The course has nurtured, appreciatively, a paradigm shift in my understanding and practice of coaching and being." "I loved the integrated duet between learning and doing; it was very profound and transformed my notion of what learning is." "The integrated learning style of presentation, video, group discussion, hand-outs -- together with coaching and being coached, brought together an exciting and holistic learning experience where content and process were united."